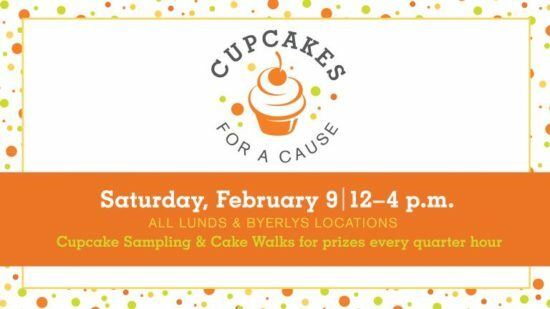 Stop by all Lunds & Byerlys locations this Saturday, February 9th from 12 – 4 pm for Cupcakes for a Cause. They’ll have free cupcake sampling as well as cake walks for prizes every quarter hour. Donations benefit Open Arms of Minnesota, a nonprofit that cooks and delivers free, nutritious meals to people living with life-threatening illnesses in the Twin Cities.